Welcome to DuFore Chiropractic & Acupuncture, "The Tri-State's drug-less alternative health center." 1. Are you hurting now and unable to get in to see a doctor for months? 2. Are you tired of waiting 4 hours in an office just to spend 5 minutes with a doctor? 3. Do you feel the true cause of your condition is being addressed or that just your symptoms are being treated? 4. Have you been told that you just have to live with your condition? 5. Are you ready to take control of your health once and for all? If so then give us a call and schedule a free 15 minute consultation at 740-532-1016. We are never too busy to help you! To receive free wellness and health articles subscribe to our bi-weekly newsletter. If you are already a newsletter subscriber, please explore the member wellness section of our website for animated exercise videos, wellness articles, chiropractic resources, and health facts specifically targeted to your wellness needs and interests by Drs. Derek and Neil DuFore. 1726 South Third Street, Ironton, Ohio 45638. Dr. Derek DuFore practices both Chiropractic and Acupuncture. He joined his father's practice in 2009. Dr. DuFore is a graduate of Life University where he received his degree in Biology with honors. He also received a degree in Human Biology with honors from National University of Health Sciences. Dr. DuFore went on to earn his Doctor of Chiropractic from National University of Health Sciences where he graduated third in his class. While at National, Dr. DuFore received a Certificate of Acupuncture from the National University/Lincoln College of postgraduate studies. 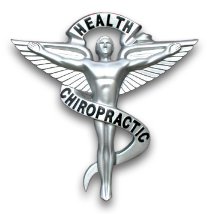 He holds a Certificate of Acupuncture from the National Board of Chiropractic Examiners and is Board Certified in Acupuncture by the State of Ohio Chiropractic Board. He is a Diplomat of the American Board of Chiropractic Acupuncture and member of the Council of Chiropractic Acupuncture.